Mention the name "Calrec", and excellent quality, "British built", Broadcast/Recording Consoles come to mind. However, back in the 1960's, Calrec were also known for being a manufacturer of professional "Studio" quality microphones (Oh, for the good old days). Calrec manufactured a vast range of studio and stage microphones over the years, both dynamic and capacitor types. 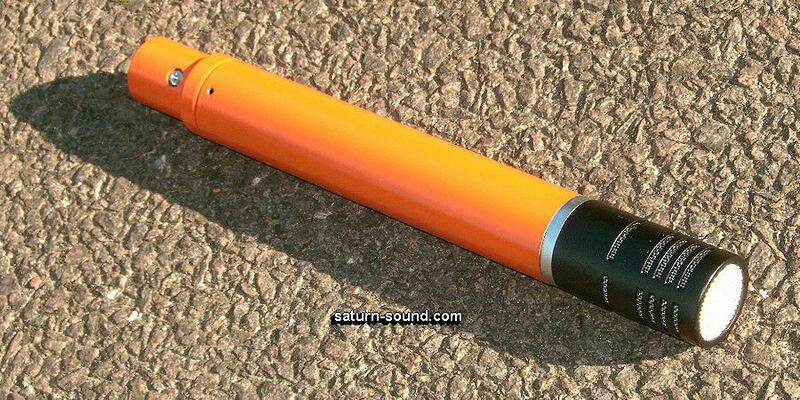 One of the most famous products, being that of the original "MK3 Soundfield Microphone". This was used, together with it's 3U 19" rack style stand alone "Control Unit", to capture the natural ambiance of a recording venue/location. This kit being produced back in 1981/82. 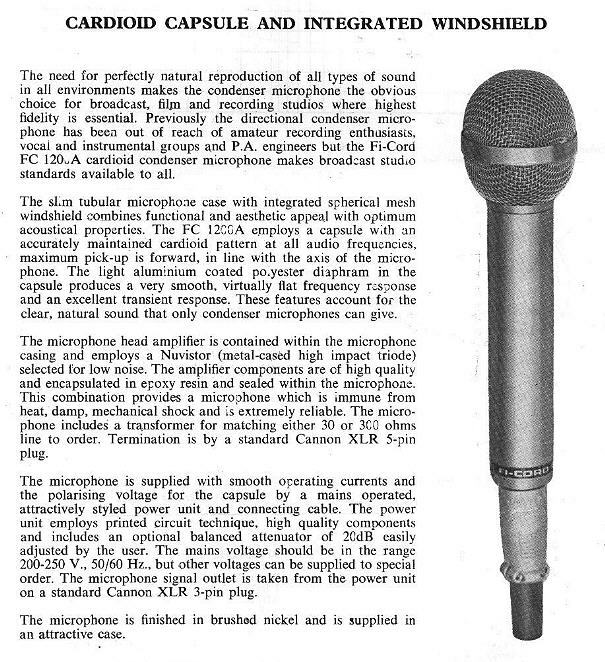 The FC-1200 microphone, manufactured by "Calrec". 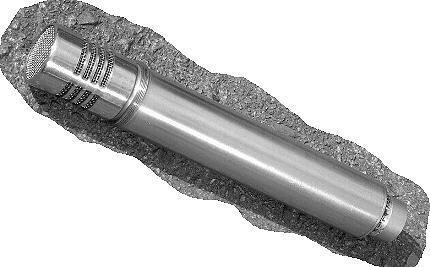 In the mid' to late 1950's, a then "Unknown" group of Hi-Fi fanatics (Percy Hopwood, Ken Ellis, Clem Beaumont, Ken Farrar, Howard Smith) constructed a valve microphone for recording local musical events. This being a single diaphragm type, with a fixed polar pattern. 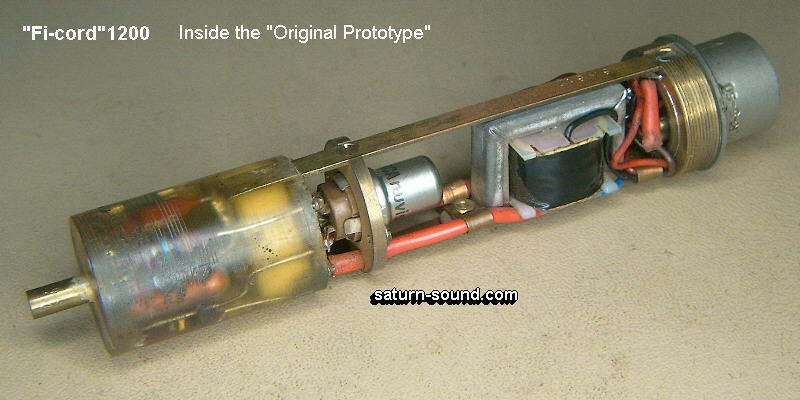 Towards the end of the 50's a "back to back" capsule was constructed and used together with a 6072 type valve, to form a variable pattern microphone. Not too dissimilar to the AKG C12. Measuring some 2" in diameter by approximately 12" long. More "one off" microphones were to be constructed, for use in the "Friends" own studio/recording facilities. A stereo microphone was designed in 1968, using the same type of back to back capsules. All of these microphones used a "Cathode Follower" type of out-put stages. Whereby, there is no out-put transformer required and the out-put impedance is sufficiently low enough to drive quite long cables, without too much loss of high frequency information. So, in 1962, the Calder Valley Sound Recording company (C.V.S.R), produced their first commercial microphone i.e. the C41. Originally being called the type 4 condenser microphone. Being of a cheap, yet reliable design, this small (6.5" long x 1" diameter) pencil type microphone, was aimed at the recording enthusiast market. Based around a 6072 valve and C.V.S.R's own capsule, either the 4O type "Omni" or the 4C type "Cardioid", all neatly fitting into the 1" diameter housing tube. Again, the out-put stage, was designed around the cathode follower principle. Their first "Well Known" valve microphone manufactured, would be the Fi-cord 1200 i.e. the FC-1200. A design based around a medium sized "Inter-changeable" capsule, and Nuvistor electronics, using a matching transformer in the out-put stage. From a maintenance point of view, the design is a real nightmare. Other then the Nuvistor and matching transformer, the majority of the components are encapsulated in epoxy resin. Thus, if a component fails within the encapsulated section, there is very little that can be done, other than an expensive rebuild. 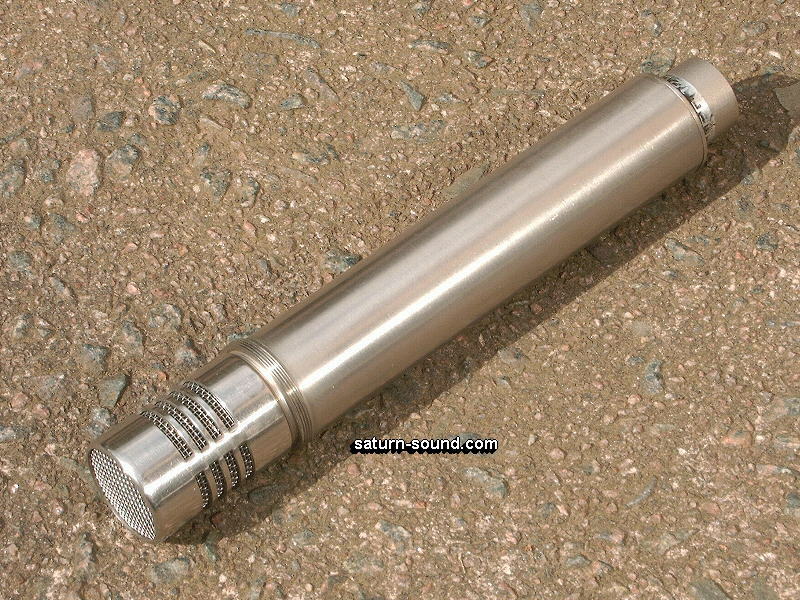 The microphone was of professional standards and used cannon type connectors, rather then the DIN type used on Calrec's (C.V.S.R's) earlier valve microphones..
A cheaper version, of the FC-1200, was produced more for the semi-professional market. The electronics, of the FC-1200A, were identical in specification to that of the FC-1200. The only real difference being, the use of a "Fixed" Cardioid capsule with built-in bass roll-off and windscreen. This would help to keep production costs down and, therefore, retailing for less then cost of the FC-1200. 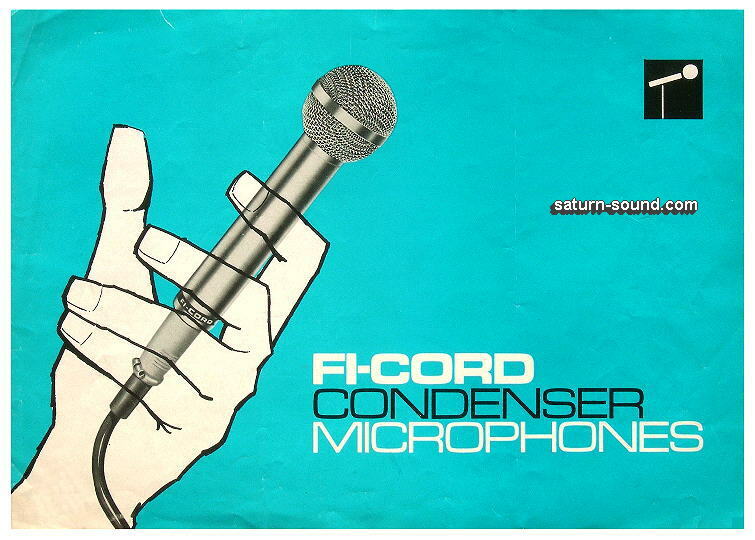 So, why use the "Fi-cord" name and not "Calrec" I hear you ask .... "Fi-Cord", a Swiss company, knew of the "Excellent" developments taking place re microphone production by Calrec, and asked if they could produce a microphone to sell under the "Fi-Cord" name. As Calrec had no real distribution at this time, the offer was willingly accepted. This was in the early 1960's. Various microphones were produced under the Fi-Cord name. Sadly this was to be short lived. In 1966 "Fi-Cord International" had financial difficulties and this would be the end of the Fi-Cord connection. Remaining models of the FC-1200 design, were sold under the Calrec name, these being the "Original" valve CM1050 type microphones. 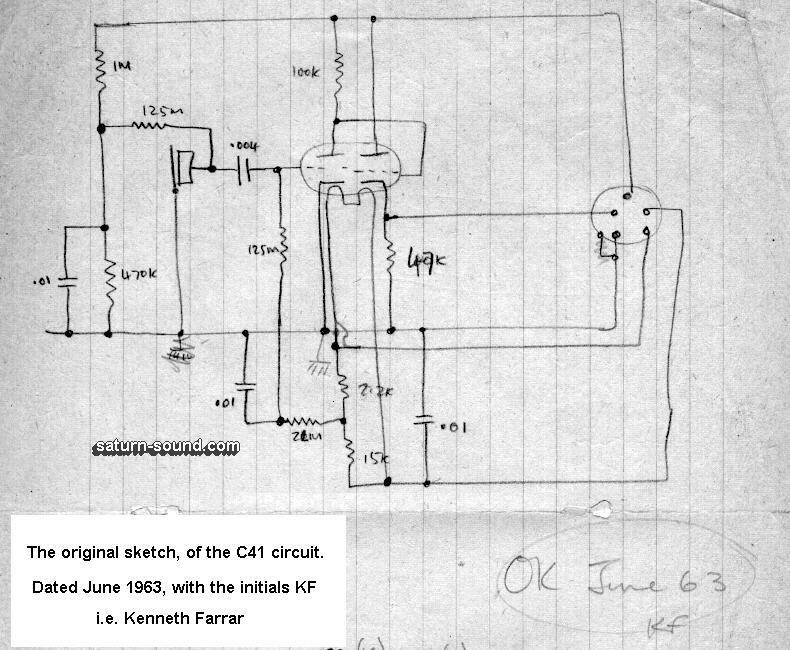 "End of the valve Era"
In 1965, tests were being carried out by Calrec, into the use of "Field Effect Transistors" (FET's) in their microphone designs. Later, in 1968, a FET version of the FC-1200 was produced, designated the FC-1200T. This was to be more of a "Modification" to the existing 1200 type microphones, rather than the production of a new model. During the mid' 1960's, we saw the introduction of the professional 1000 series microphones, using FET electronics, to replacement for the then "Obsolete" Fi-Cord 1200 and 1200A models. This was to mark the end of an era for Calrec's association with valve technology, but only just the beginning, of the success associated with the semiconductor models to follow. A "New" Valve microphone body ! Alas, this not a "Calrec" design, but one of my own. Calrec microphone manufacturing discontinued many years ago. The "Missing Link" RMB-2021 is a "Valve" version of the FET CB20 and CB21 microphone bodies. For more information on the RMB-2021, please refer to the "Replacement Microphone Body" page. 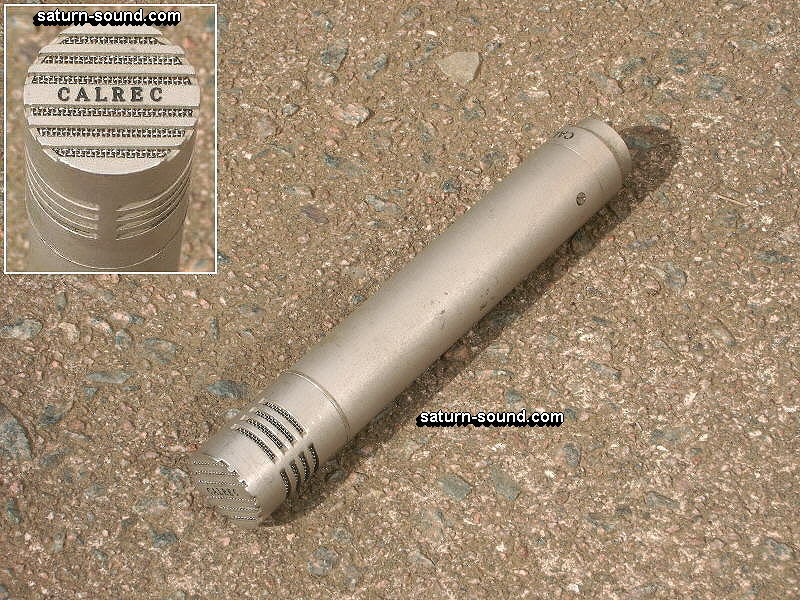 Note - See "Calrec - Some Old Favorites" for more information about Calrec FET type microphones.